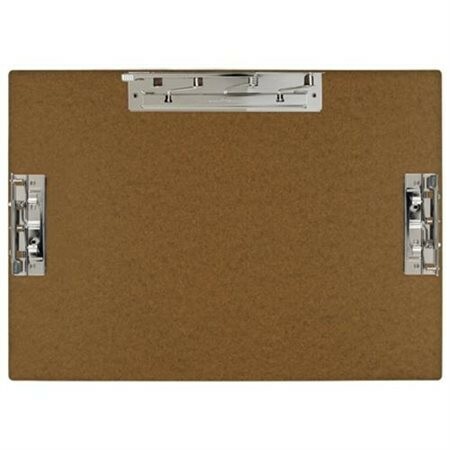 17 x 11 clipboard - GS Direct, Inc. Secure your important paperwork with our three-clip hardboard clipboard. This environmentally friendly 11" x 17" hardwood clipboard is made using recycled materials, and it's poly-coated to resist damage. Your pages won't come loose from the three metal clips. One hinge clip is centered on the 17" side, and two mousetrap grip clips are along each of the 11" sides. It's a smart buy for unstable work conditions inside or outdoors. Overall size -18.75" x 13.5"